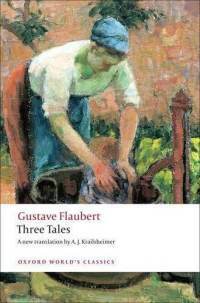 A Simple Heart by Gustave Flaubert (1877). Included in the volume Three Tales, this is the story of Félicité, an uneducated and loyal servant who never questions her lot in life. She is sustained by her unquestioning faith and her great love for her nephew and for her mistress’s daughter Virginie. When she loses them both, she finds an unlikely recipient for her ardent affections—a parrot named Lulu.